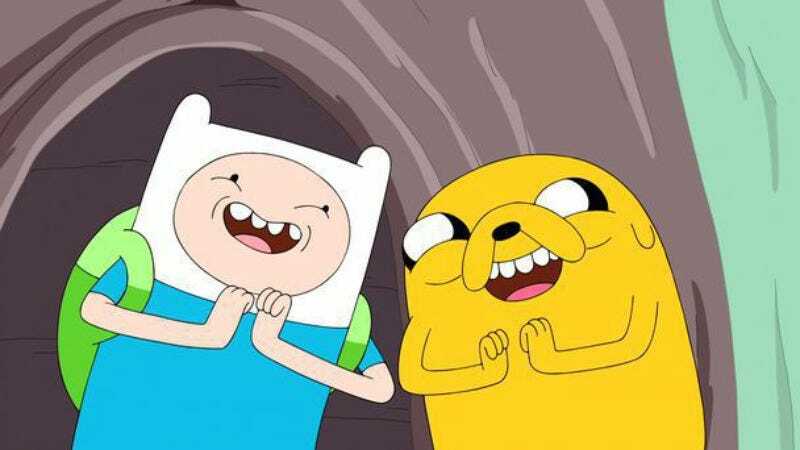 Presumably after glancing at the internet for five minutes and realizing that people are crazy about Steven Universe and Adventure Time, Cartoon Network has decided to give renewals to a bunch of shows that you unashamedly recommend to people even though they’re on Cartoon Network. In addition to Adventure Time and Steven Universe, the newly renewed shows include Regular Show, Uncle Grandpa, and Clarence, all of which fit into the network’s recent strategy of producing stuff that is weird enough that it appeals to kids and cool people, but not so weird that square parents are terrified of what their children are being exposed to. People in the industry call it “The SpongeBob Line.” Go too far on one side and you’re in H.R. Pufnstuf territory, go too far on the other and you might as well be talking about Franklin. Anyway, this will make it eight seasons for both Adventure Time (which is becoming a movie) and Regular Show, three for Uncle Grandpa and Steven Universe, and two for Clarence—just in case you’ve never heard of these shows and want to feel super uncool for totally missing out on something that’s been around for a long time.